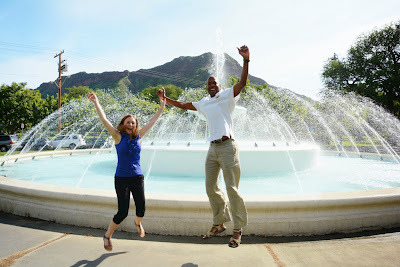 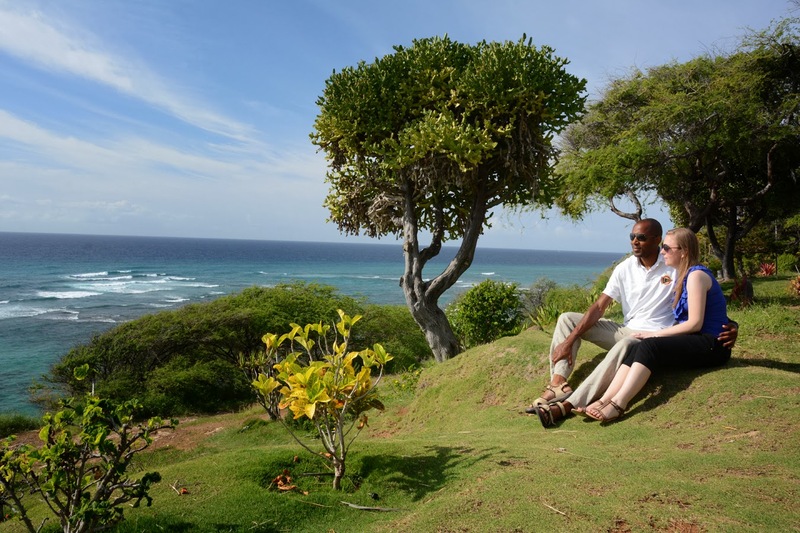 Amanda & Antony take a trip around the Island with our CIRCLE OAHU TOUR. Kapiolani Park is the best place to see Diamond Head up close. 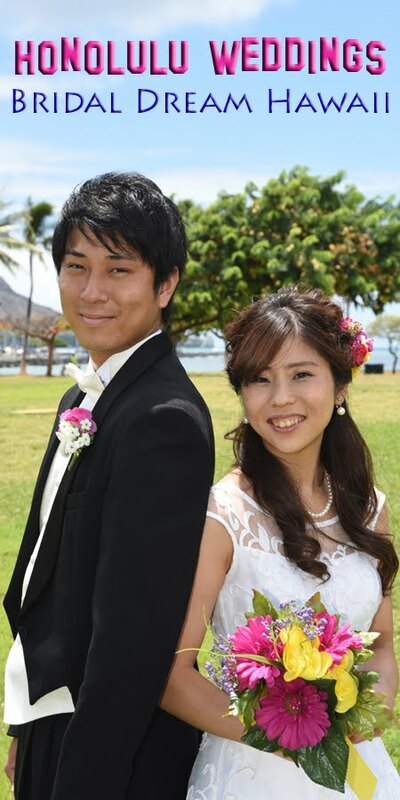 The Waikiki Fountain is a nice spot at Kapiolani Park to stop for a photo. 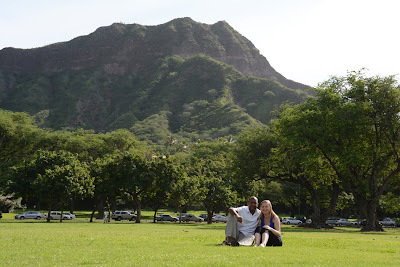 Diamond Head Garden has an awesome ocean view, but you're too close to see much of Diamond Head, standing right on top of it.